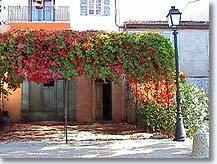 Situated on route N98 which links Hyeres (30km.) 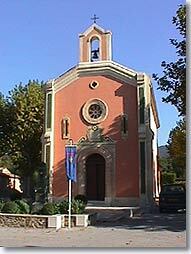 to Sainte Maxime (21km.). 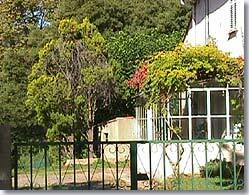 This peaceful village can be found two steps from the sea, in the heart of the Maures mountains. Surrounded by fabulous forests, La Mole offers several itineraries through the Maures. At the top of the hill, on the rock ot St. Madeleine, and north of the present village, you will tind the ruins of the original community of La Mole. There is an eleventh century castle with a magnificent park which unfortunately is not open to the public. 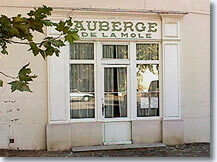 St. Exupery lived there for some time with his grandparents and coincidence or not La Mole has an aerodrome. You musn't miss the picturesque route of Cretes (527m.) where there are sumptuous panoramas, or the Col du Canadel (267m.) which leads back down to the coast. The great rock ot St Madeleine. Water Park, (pools, water slides, games). Cogolin (9 km), Le Rayol-Canadel (11 km) and Grimaud (12 km).